Since the annual Wine Bloggers Conference draws participants from across North America, one major benefit is the chance to taste wines from inaccessible states. 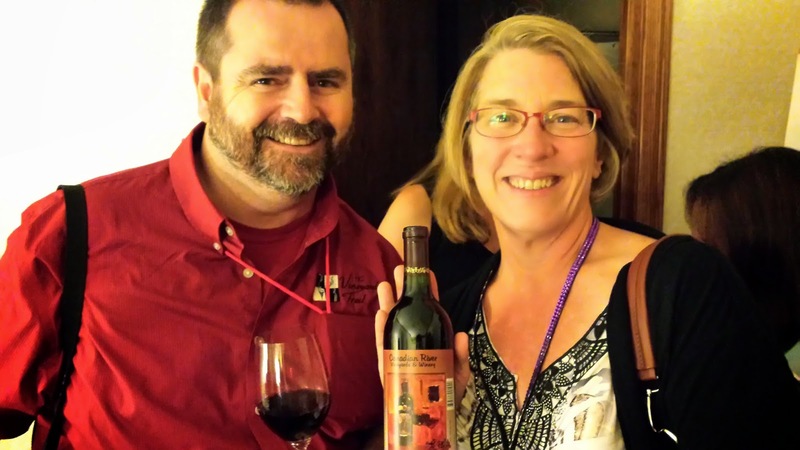 During this year's conference, Mika and TomJoe from The Vineyard Trail brought along an Oklahoma wine: the Canadian River Vineyards and Winery NV Merlot ($17). The Sooner state is home to about 50 wineries, with the largest number of vineyards located in central Oklahoma where CRV is located. The Merlot is estate grown and is a jammy fruit forward wine that races to the finish quite quickly. There are very little tannins and it's fruit character is most likely popular in the local Oklahoma market. Cheers to drink local wine and The Vineyard Trail for sharing. We were thrilled to be able to share one of our choice Oklahoma wines with you! Thanks for the shout-out. 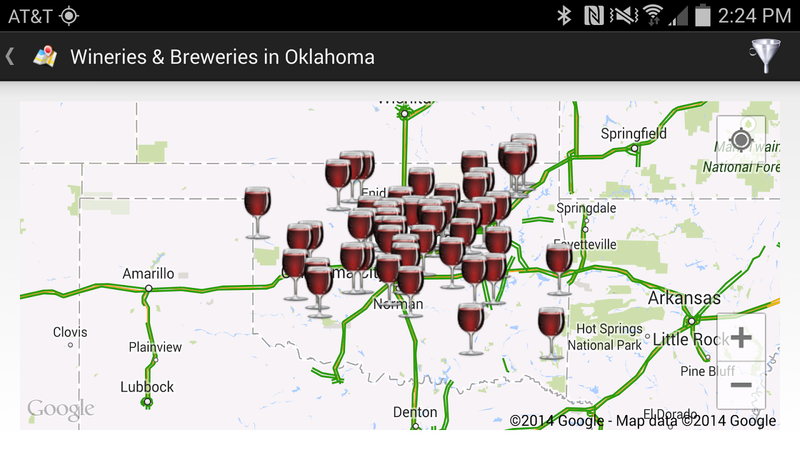 See, we make wine in Oklahoma too! :-) See you next year.